You might want to insert custom code to embed audio or a video clip, or to embed a third-party widget from Google or Twitter. 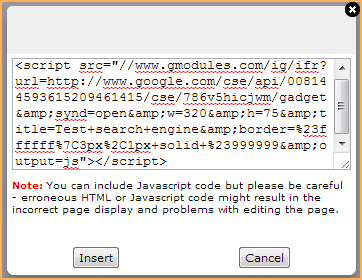 As well, you can display the HTML for any content gadget, email, or event description, and modify it as you wish, subject to code restrictions (see below). 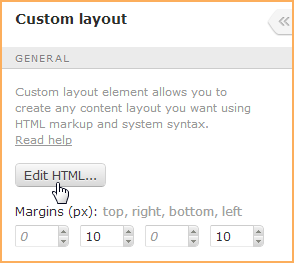 Go to Sites pages (under the Website menu) and begin editing the site page or page template. Click the Gadget list to display the list of available gadgets. Drag the custom HTML gadget from the Gadget list, and drop it on the desired location. After you have inserted the gadget, hover over the gadget and click the Settings icon. Click the Save button to save your changes to the page. 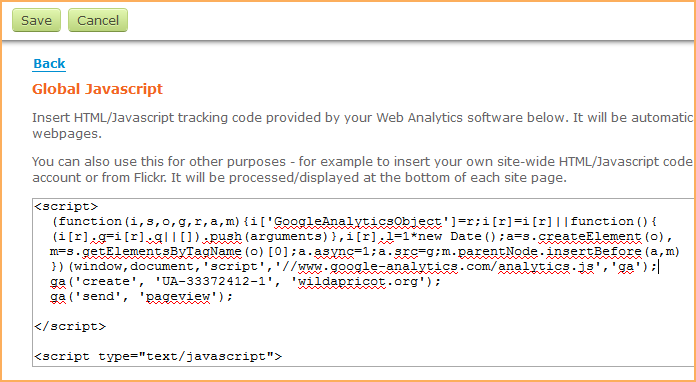 Click within the content gadget, email body, or event description where you want to insert your code. Click the S (Snippet) button within the toolbar towards the top of the screen. Click Insert to exit the window. Click Save to save changes to the page. In some cases, the element to be displayed by the code will be represented in edit mode by a snippet icon. Once you switch to public view, the icon will be replaced by whatever your code is meant to display. 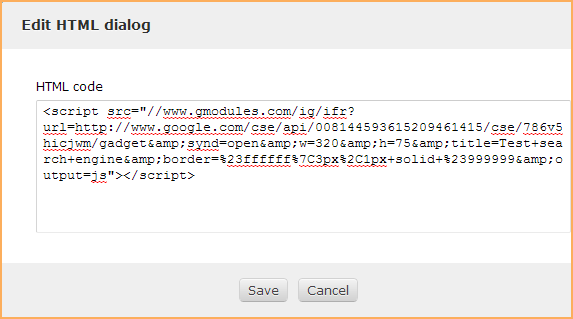 Click within the content gadget, email body, or event description where you want to view or modify the code. Adjust the code as required then click Save to save your changes. 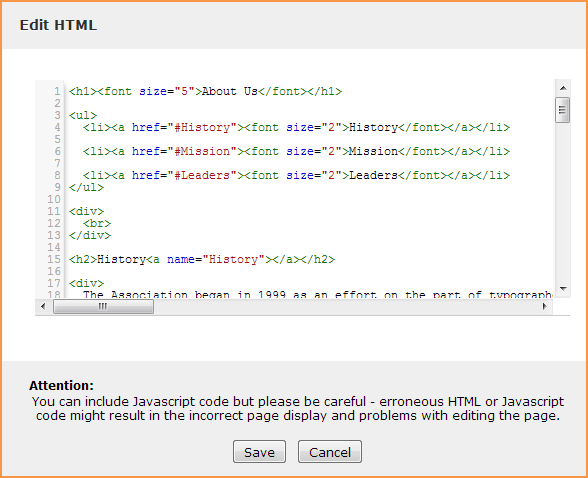 If you are frequently editing your site's HTML, you might want to use a dedicated HTML editor to make your changes then copy and paste the code back into Wild Apricot. Do not use the <PLAINTEXT> tag. If you do, it will be automatically removed from your code. where object is the name of a target object.